When I first embarked on this path, I decided to join a franchised company because having some of the infrastructure built out for me was really appealing and made the process less intimidating. This kind of thing is common when it comes to things HVAC Franchise Opportunities, when workers decide to buy into bigger franchises instead of starting their own business. At the time, the reason that I chose Macaroni Kid was because I liked the low-monthly fee, and knowing that I could set my own prices and keep 100% of the ad revenue. When I did the math, there was a higher potential of profitability with Macaroni Kid than there was with HulaFrog. At this point in my journey, money was not abundant. Even the “minimal” monthly fee of $59 seemed like a small fortune. I remember feeling nervous about pitching the idea to my husband. This was not my first business idea – and I had experienced a LOT of failures… but, I pitched it and hoped that he'd love the idea as much as I did. In true Lou-fashion, he was pretty much instantly supportive and we agreed on business goals that would guide the decision to leave the company if need be… basically, we needed to be generating income by month 3 and be profitable by month 6… and I gotta tell you… I was profitable my month 3 and this opportunity truly changed my life. Managing a “mom blog” through Macaroni Kid provided me opportunities to review products, services, venues, and activities with my kids – things that we would not have been able to afford any other way. “Cash money” aside, this adventure really helped me provide my kids with the quality of life that I had always wanted to give them. And, it generated money in my wallet too! The “sisterhood” within Macaroni Kid was amazing – women helping other women succeed. They shared ideas, tips & tricks, blog posts, and I developed long lasting friendships. Macaroni Kid provided opportunities to partner with big brands (like Gerber, Disney, and SpinMaster) and earn free products and financial compensation for reviews. Why am I not with Macaroni Kid now? Basically, because I moved. These business models limit franchisees to one per geographical region (rightly so) and when I moved from Rochester, NY to Phoenix, AZ there were not any nearby territories available. I waited for about 6 months before making the decision to do what was best for my family, which was venturing out with an independent blog (which you're reading now!) and accepting a similar position working for a competitor, KidsOutAndAbout.com (not a franchise). But, no hard feelings! I still love seeing the MacKid mamas out at local events, and believe that Macaroni Kid provides a great opportunity for mama's looking to launch a business that is VERY family-friendly! 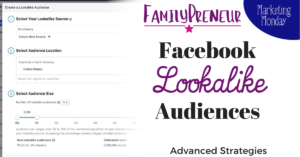 If you decide to build an independent blog (like I ended up doing in the end), there are free networks you can join to connect with review opportunities, like US Family Guide, Linqia, RippleStreet, and BlogLovin. These networks helped me connect to big name brands when I was just starting out and each allow you to make a little money and/or be given free product in exchange for your reviews/promotions. I believe that starting a mom blog is a great opportunity for moms who want to supplement their household income and/or provide some cool opportunities to their families. 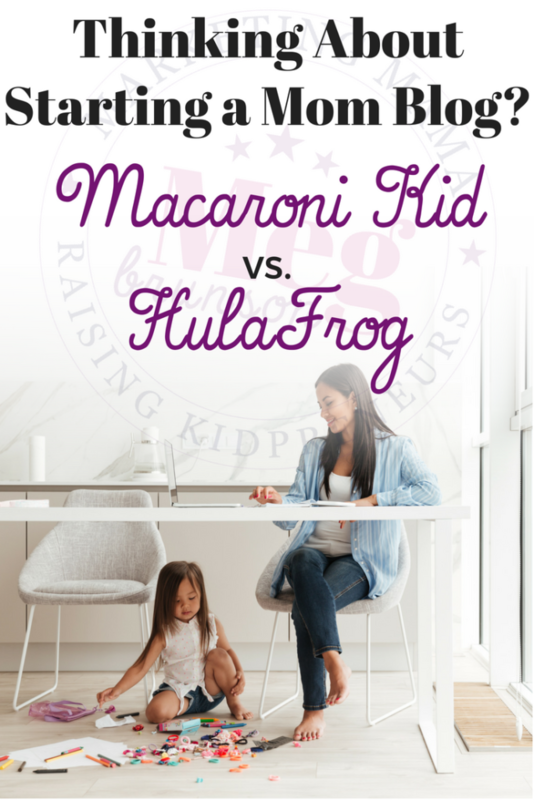 I am grateful for the franchise opportunities like Macaroni Kid and HulaFrog, and often recommend them when I meet a mama looking for a boost to beginning her blogging business. 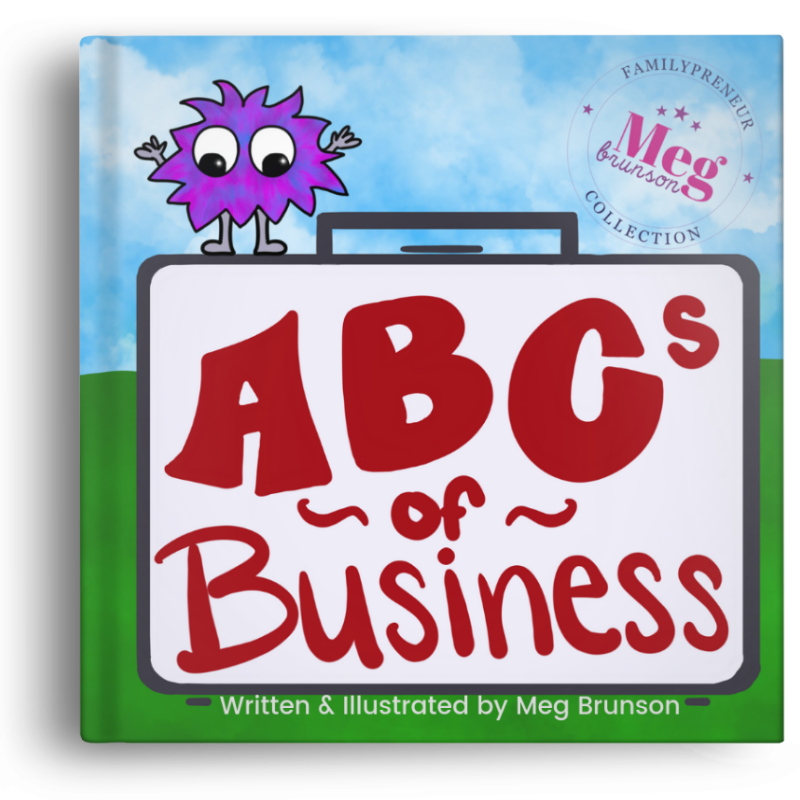 I explained why I chose Macaroni Kid over HulaFrog, and could write a whole book on how amazing those 2 years of my life were as a Macaroni Kid Publisher Mom (maybe another day). 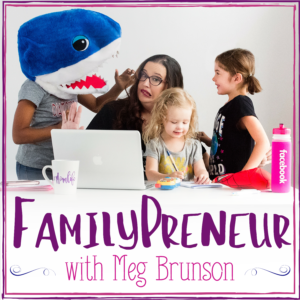 Whether you want to build it from the ground up yourself… or prefer to work off of a templated system built by a reputable company like Macaroni Kid or HulaFrog… becoming a mom blogger and/or digital influencer is a great way to make some extra money and involve your kids in the process! 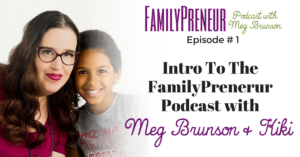 You may also want to check out Episode #10 of the FamilyPreneur Podcast, in which I interview Vicki DeLuzio. 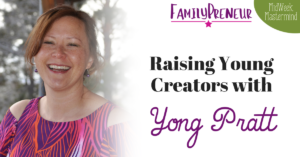 Vicki launched an independent mom blog in Surprise, Arizona and when I brought KidsOutAndAbout.com to Phoenix, it made us competitors… but, we believe in collaboration over competition – and that's what we discuss in that episode… so check it out HERE. Once you've made the decision to launch a mom blog, you'll want a social media presence for your newly founded business – but don't make the mistake of trying to be present on any platform… instead, identify the best place to START, master one platform, and expand from there. I've consulted with industry-leading social media experts to bring you free video tutorials and a workbook that will guide you through identifying what the best social media platform will be for YOUR business at IntroToSocial.com. Sign up below to receive access to the downloadable workbook and video guides. * I am no longer affiliated with Macaroni Kid in any way and was not compensated for writing this post. It's one of those questions I get asked a lot and just wanted to put it out there for anyone who is wondering!